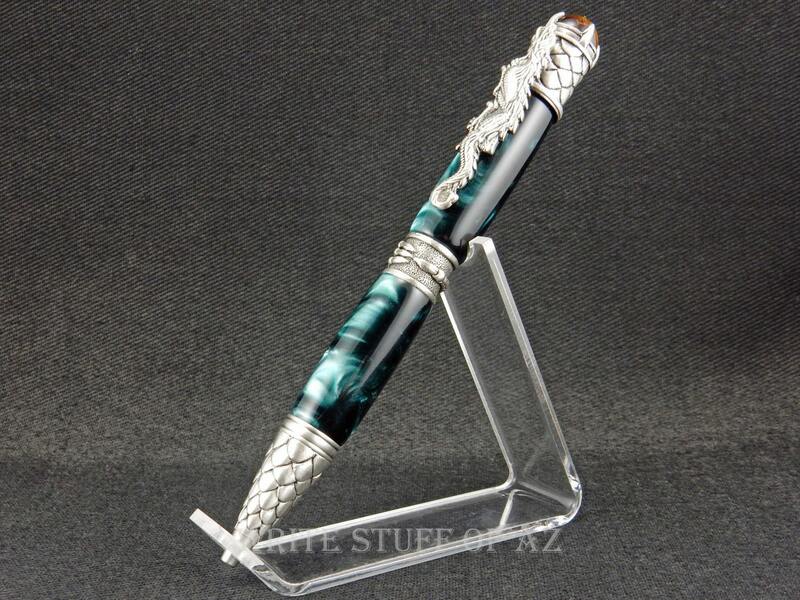 This dramatic and beautifully sculpted pen makes the perfect gift for any Dragon or Chinese art lover. Great attention is given to the exquisite details of the dragon. The clip is a full body, mighty crouching Chinese dragon. The band features a dragon claw grasping the center - a sign of strength and willpower. 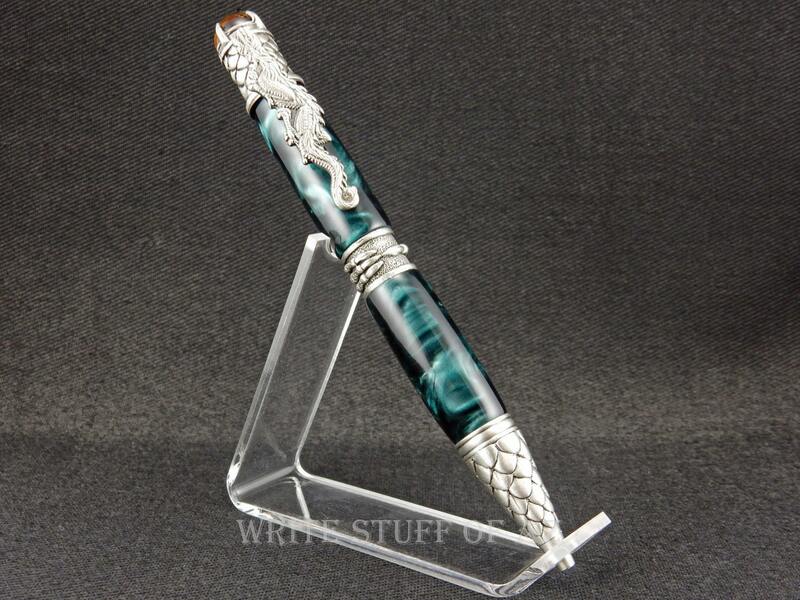 The pen tip and end cap are covered in the armored scales of the dragon; scales can be seen as a sign of protection. And the Tigers Eye crystal on the end, known to be very effective for instilling courage, strength of will and self-confidence - gripped in place by additional talons.